We Future Cycle is proud to have helped the Pelham Community Church to go green. One never knows how many moving parts a church operation has, until one tries to change direction. Under the skillful leadership of Pastor Noel Vanek, a consensus was built, with buy in from all parties as creating unity and ownership is what it takes to make any meaningful change permanent. 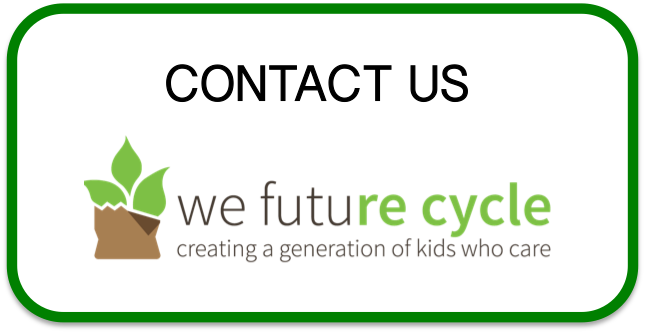 We Future Cycle set up the building with clear signage, designed the flow of the material, trained the custodial staff, created information flyers for the other building users and already just days after roll out, a clear difference was visible. Aiming for Zero Waste, Pastor Vanek knew that organic recycling was a big factor and now the entrance to the church is sporting a 80 gal enclosed, rotating composter, with clear signage and a bin of leaves adjacent to it. While the church does not generate huge amounts of food waste, Pastor Vanek wants to be an example, to allow congregation members to witness that food waste composting is not “yuk” or “nasty”, but in fact super easy to do. The Church building is also home to a lovely nursery school and the children will also have the opportunity to place their banana peel into the composter and ….even more importantly….witness what has happened by the next time they open the composter again. In fact, nearly 50% of all waste coming out of households is food waste, and it makes all the sense in the world to rather home compost that instead of treating it as garbage and spend energy on trucking it to the incinerator. Pelham Community Church is well on their way to Zero Waste. What a wonderful example of building and improving community.